Religious minorities are often depicted as oppressed and vulnerable victims of their Muslim rulers. This portrayal, however, is far from accurate. Religious minorities are often depicted as oppressed and vulnerable victims of their Muslim rulers. This portrayal, however, is far from accurate. This brief paper seeks to reorient our understanding of the rights and responsibilities religious minorities possessed under Muslim rule. In January of 2016, scholars from around the world gathered in Marrakesh, Morocco to discuss a very pressing concern: the status of religious minorities in Muslim-majority lands. This issue has emerged to the forefront of international concerns thanks to the mortifying actions of ISIS, who have sought to kill, enslave, and exile others based on religious differences. Over two hundred and fifty scholars, as a result, committed to attending the conference in order to reestablish environments of religious tolerance and peace. These events, nonetheless, beg the question: what role do religious minorities have under Muslim rule? Religious minorities in the Muslim Empire were known as ahl al-dhimma, or dhimmīs, which literally translates to the Protected People. The Muslim ruler was required to protect religious minorities from both internal and external harm. The dhimmīs were also granted religious and legal autonomy, meaning they could maintain their religious practices without interference. The Jizyah – A Discriminatory Tax? among others, did not have to pay the tax since they typically did not serve in the army anyway. Dhimmī men also had the option of serving in the military and thus opting out of paying the jizyah tax. Additionally, if for whatever reason, the Muslim ruler could not protect the dhimmīs, they were required to return the jizyah to the people. In contrast, Muslims were also required to pay a tax known as zakah, a basic tenet of Islam and one that is obligatory on both men and women, and entire families (i.e. the father had to pay on behalf of his children as well). Like the taxes we pay in America today, the Zakah and Jizyah contributed to the military and to the maintenance and welfare of society. Different religion, different rules – sounds like discrimination. Or does it? Some Muslim rulers set limitations on the public role of dhimmīs (i.e. dhimmīs were required to dress differently) that were later considered discriminatory. But most of the laws and regulations that were deemed controversial were in fact consistent with those of the preceding empires. 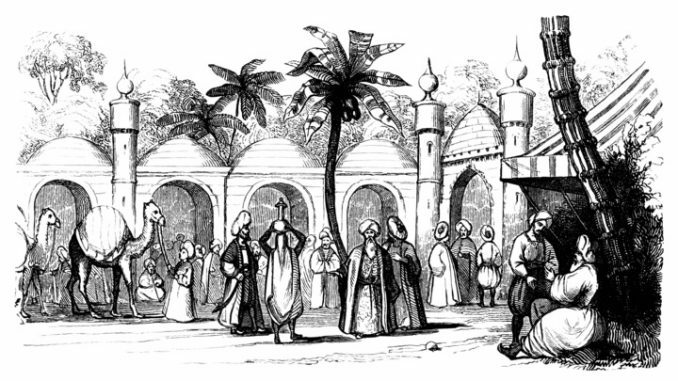 In her book Non-Muslims in the Early Islamic Empire, Milka Levy-Rubin demonstrates that the Muslims did not introduce some foreign paradigm that enraged the non-Muslims at the time. Throughout the Byzantine Empire, for example, various groups also had certain regulations imposed on them; Jews, for instance, could not testify against Christians and were banned from holding public office. In both the Byzantine and Sasanian Empires, furthermore, public distinction was made between Christians and non-Christians, and Zoroastrians and non-Zoroastrians, respectively. Intermarriage, as a result, between the two groups was highly contested or prohibited. So yes, these regulations might seem discriminatory through a modern lens, but in the sociopolitical context of the time it was not only normative but also liberating in many ways. In examining these facts, it is important to grasp the historical context; in this case, society was very much defined by religion. Nation states were yet to be introduced. People identified as religious groups, not citizens of a country whose religions may or may not differ. Religion was the defining and most distinctive marker of identity. Scholars have affirmed that Semitic communities were only ever socially organized based on theocracy. In our modern context, when we think about many of the laws regulating minorities, we consider them to be a form of religious discrimination, but the reality of the matter is that religion was the only form of distinctive identity in that era. Hence, the regulations were not designed to facilitate discrimination; rather, they served religious communities by allowing them to maintain a sense of identity, and consequently, a sense of independence and dignity. What about the instances in which non-Muslims were actually targeted by Muslims? There have no doubt been incidents throughout history in which that protection was threatened or revoked and the Muslim ruler engaged in persecution of religious minorities. The fact remains, however, that there was never widespread systematic persecution of Christians, for example, in the Islamic world as there was in the late Roman Empire. And the hostile circumstances that did occasionally arise, were not due to Islamic legislation per se, but were rather a result of various social, political, and economic circumstances. So while Christians or Jews historically at times suffered at the hands of Muslims, it was almost never a result of their being Christian or Jewish, or their beliefs, but a consequence of numerous factors related to the pursuit of power. When reflecting on the dhimmī model that took precedence throughout Muslim societies historically, it is important to also reflect on the standard that is set in America today. An American citizen is treated rather distinctly from a non-American citizen – we have different rights and responsibilities. As citizens, we live with a privilege that many times blinds us from recognizing our exclusive lines at airports, or the priority we are given in applying for schools and jobs, or the ease of obtaining visas for travel. These are all forms of honor that we have been granted simply on account of our citizenship. And we too have a form of taxation upon individuals that in essence symbolizes one’s submission to the state. So before reflexively criticizing the practices of former societies, one needs to understand the historical context of those practices and reflect on current-day parallels. In any case, many scholars today have advocated for modern forms of citizenship, granting equal rights and responsibilities to both Muslims and non-Muslims. But they have also gone beyond these calls to demand a refinement of social attitudes in order to ensure thatnon-Muslims are not only granted these rights, but are also socially treated with respect. Hence, there is an individual responsibility upon all of us to ensure that religious minorities both here in America and abroad are always guaranteed fairness and dignity. Read the full research publication here. Guest Author: Tesneem Alkiek. Yaqeen Institute for Islamic Research Fellow, Alkiek has a BA in Islamic Studies and Early Christianity from the University of Michigan. She is a Phd. Candidate at Georgetown University in Islamic Studies.